The Vivax-Metrotech Model Vivax-Metrotech VM-480B Pipe and Cable Locator is a versatile locating instrument designed for locating and tracing the path of pipes and cables; detecting energizing 60Hz power lines; and when mounted on an optional carrying handle, conducting blind searches, ground surveys, and locating underground metal masses. 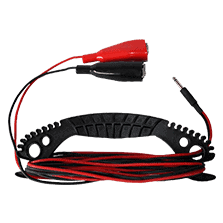 Depth measurement is accomplished using the triangulation method. 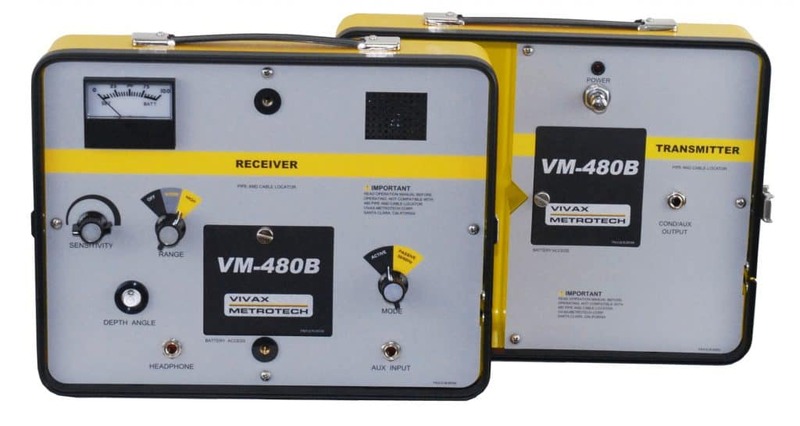 The VM-480B is of split-box design, half being the transmitter and half being the receiver.